What a gemstone this is, so beautiful with its cream colors and purples a black. 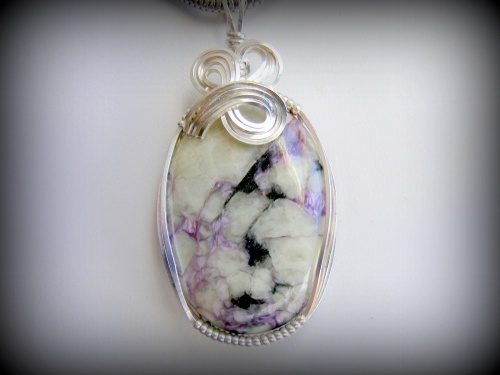 Gemstone is wrapped in sterling silver swirls. Said to be the stone that helps you overcome fear. Piece measures 2" from the top of the bail to the bottom of the pendant and 1" wide. Comes with a sterling silver snake chain.